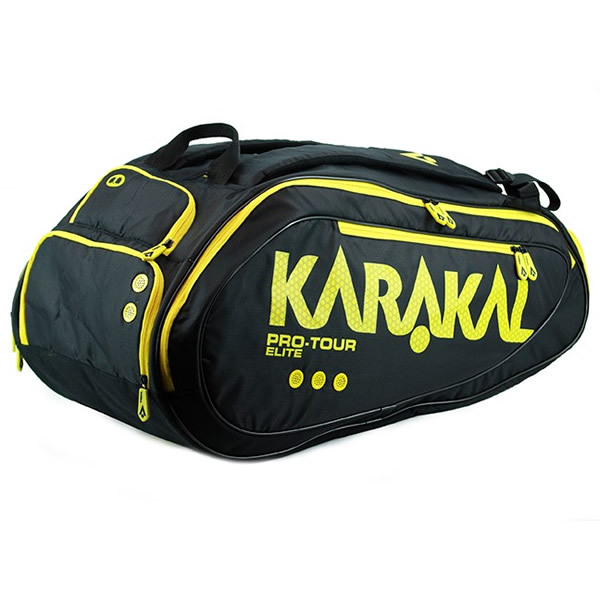 Pro Tour Elite – Karakals 12 racket bag uses a backpack carry system, has separate racket and kit compartments and comes with built in shoe and wet compartments. A new addition this year is a handy pocket lined in supersoft material to protect your goggles/glasses from scratches. Another new innovation are Breather Buttons, they allow air to circulate inside the bag and aid ventilation an essential addition when carrying wet kit after a match or workout.